It’s no secret that Yahoo! is overhauling all of its flagship products, including mail. The service has gotten a refresh on both the web and mobile, and today, the company has announced a partnership with file-backup and sharing service Dropbox. The partnership will make it easier to send, receive and manage attachments in Yahoo! Mail. In case you’ve forgotten, Yahoo! Mail is still the No. 3 most-used mail service in the world behind Hotmail and Gmail. But the last time we checked, it was No. 1 in the United States. By acting nimbly, the company can add small tweaks and enhancements thanks to partnerships like this that will give it a potential edge against the competition. This is good news for both companies, specifically Dropbox. This brings a new audience to the service, which has become a mainstay in the workplace and small teams of collaborators. Yahoo! has fresh users that might not be turned on to Dropbox lined up and waiting to try new things. If users don’t have a Dropbox account, they can simply sign up for one via Yahoo! Mail. That also means more potential revenue for Dropbox once these users fill up their free 2GB. 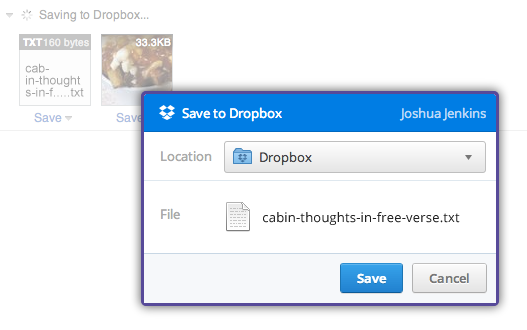 Starting today, Dropbox is available within Yahoo! Mail. This integration allows you to share and store files more easily, whether they are vacation photos or important documents like tax returns and research papers. And, because files can be stored in your Dropbox account online, it’s easy to find the files you want even when you are away from your desktop. 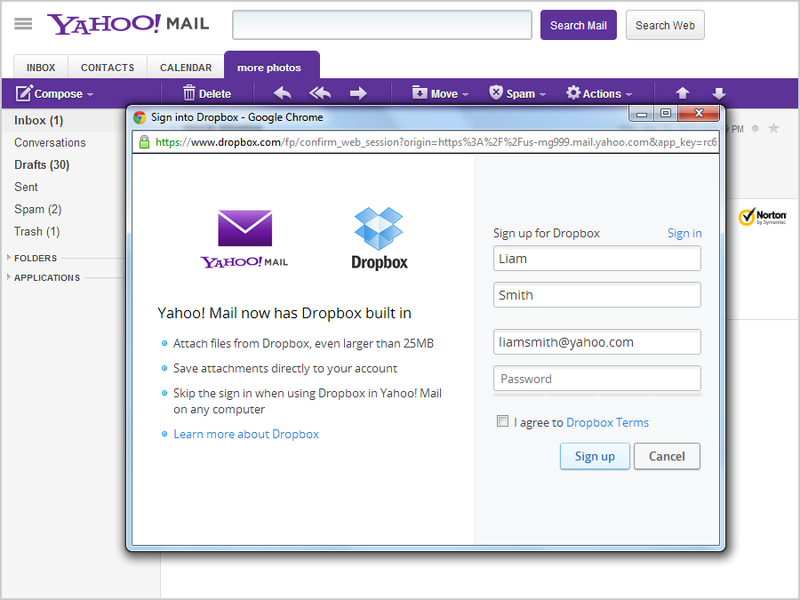 Dropbox is available within Yahoo! Mail for the Web in English, French, Spanish, German and Italian. For those of you new to Dropbox, you can quickly create an account from within Yahoo! Mail. On the Dropbox blog, the company discusses the advantages of managing all of your attachments using their service, including not having to worry about file sizes. Additionally, you’ll be able to share whole albums of photos to emails, no doubt in a push from the recently acquired Snapjoy team, which is really handy. This will all be rolling out to everyone today. This is the second major move that Dropbox has made in the email space, the first being the acquisition of popular, and hard to get into, mobile app Mailbox. Interestingly enough, sources tell us that Yahoo! was making a serious push to acquire Mailbox, so it’s fun to see them working together in one form another. If you can’t acquire them, partner with them. We’ve asked Yahoo! about whether this replaces the partnership that they have with YouSendIt, which basically allowed users to perform the same tasks that Dropbox does. We will update this post if/when we hear back.